From Goodreads: Winter McCall and Thaddeus Blake flee the burning mansion. Both are hunted by two relentless police officers and vampires. 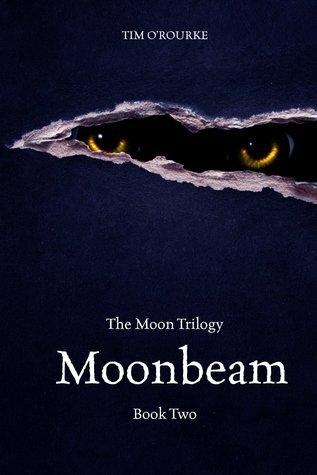 With time running out, Thaddeus leads Winnie towards Scotland, where he believes the Moonbeam, a precious stone with the ability to destroy those that hunt him, is hidden. But Thaddeus has held the Moonbeam before and with it came betrayal, madness, and murder. Will the Moonbeam protect Thaddeus, last of the werewolves, or is he truly the only surviving member of his race? Tim O’Rourke’s second novel in The Moon Trilogy blew me away. The mysterious Thaddeus Blake is laid bare as we learn his background, dating back hundreds of years and explaining his previous loves and cruel life. It is impossible not to feel sorry for Thaddeus as we hear his tale, and it’s a rather gruesome one, at that. It explains so much about his character and made me fall in love all over again, right there alongside Winnie. Although Winnie attempts to fight her attraction, there are many underlying aspects at work within the novel, and I am excited to see where O’Rourke takes it in the next installment, slated to be the last of the series (but fingers crossed—The Kiera Hudson Series was supposed to be a trilogy as well, and it’s now two series and over ten books long and still going, so…). 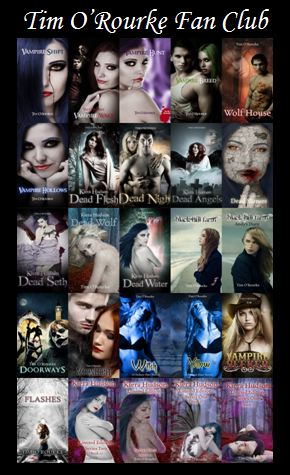 In this novel, readers learn more about the vampires as well, and I must say they are shaping up to be an evil bunch. Many of Tim’s descriptions of them made me cringe, especially when it came to feedings other interactions with humans and the like. They are extremely dark and harrowing, and I have a strong feeling of foreboding as they close in on Thaddeus and Winnie. O’Rourke also threw a bit of a wrench into the mix, and it seems that not all the characters in this novel are who they say they are… and there is a strong allusion that the next novel will be jammed packed with twists and turns as O’Rourke drops the secrets he’s been holding onto the reader. I’m so excited! Five stars.